very nice! good job - make some more! i don't know what this SP2 conflict is. I have a machine with XPproSP2 and the windows bootscreen loads temporarily before the bootskin kicks in. On the other machine i have WindowsXPhomeSP2 - on that one everything works fine. When i was testing one of my bootscreen creations i had a problem with one of the progress bars causing a blank screen. it may only be certain skins. let me know more sparda1 jaidaksghost@bellsouth.net as i create and upload a lot of bootskins - i would like them all to work on every machine. thanx. This boot screen is really great. 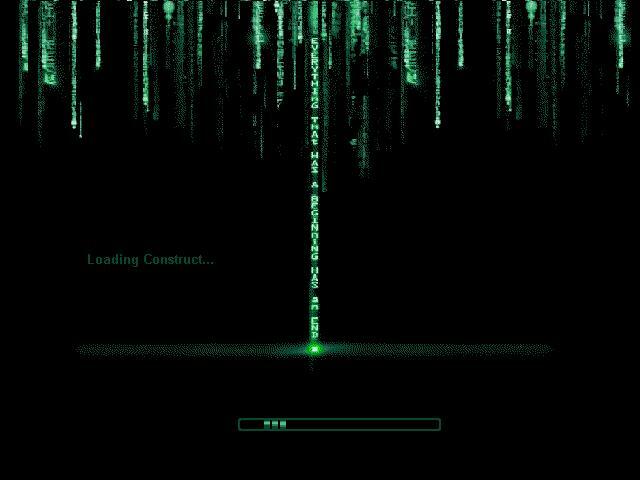 Even without the fact that I am a fan of the matrix. Quite cool. rather well displayed. hi could somebody tell me hou to create my own skin please i realy vana know, this skin is nice, like it.